As a young criminal investigator at my Sheriff’s Department, I was often called into the field by seasoned patrol deputies with substantially more years of experience in the field than me. Many of the patrol supervisors had held management positions in our department or in other agencies in the past, and each had their own way of responding to critical events. Their success, the reputations they had built for “getting the job done” was largely based on their ability to apply lessons learned in the past to present situations and to motivate the people around them to do what needed to be done. So, when the call went out, many instinctually looked to the veterans to know what to do. Once I arrived onsite and received my briefing from the patrol supervisor and assessed the situation, I would begin giving instructions on how we needed to proceed. It was often an awkward first few minutes! You see, some of these patrol supervisors had 25+ years of additional experience over me, and my “new” way of responding to critical incidents or major crimes did not fit into the pattern of successful behavior they had developed in the past. Their experiences were not wrong, but neither was I… so what happened? Over time, the rule of law and liability begins to change. It’s often a gradual, imperceptible change or migration from one position into another. A new law proposed and approved here…. An old law amended and changed there. Lawyers are constantly searching for anything that can give their client an edge in civil and criminal proceedings. A recent article by Jeff Jacoby in the Boston Globe stated that the number of lawyers in the US has tripled over the last 35 years. Even the most honorable and ethical within that profession are singularly responsible for reviewing our actions in detail as it pertains to their case and they have the luxury of doing so in hindsight. As the scene supervisor, I had to do my best to respond to each incident in a way that would not only deal with the situation at hand but prepare us to defend our actions in court. As a criminal investigator, I knew I was ALWAYS going to have my actions reviewed by attorneys sitting in an air-conditioned room singularly focused on looking for any mistakes I may have made… that was their job! As an investigator, I was up to date on any new law or proposed change that might impact me, my department or my community. Those seasoned patrol supervisors? They knew more about personnel management, field patrol tactics, crowd control and traffic law then I could ever hope to learn. That was their specialty, that was what they did every day, year after year… and they were the best at it. It is rare today to find someone who is an expert in all aspects of their profession. Civil liabilities have forced us to specialize in narrow areas of expertise where we can be more certain of the risks involved in the decisions we are making. Over the next few days, ask yourself… Who is responsible for keeping me up to date on all the new or changing laws that might affect my operations? Am I confident that nothing has changed in any of the cities, counties or states that I am responsible for operating in? If something within my area of responsibility were to be reviewed by an attorney, am I prepared? Remember, there are dangers of continuing to do things the “old way” because “it has always worked”. What got you to where you are today… might not get you where you want to go tomorrow. 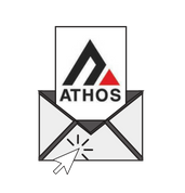 Subscribe to The ATHOS Group Blog today and receive security tips for your industry and relevant news directly to your inbox!